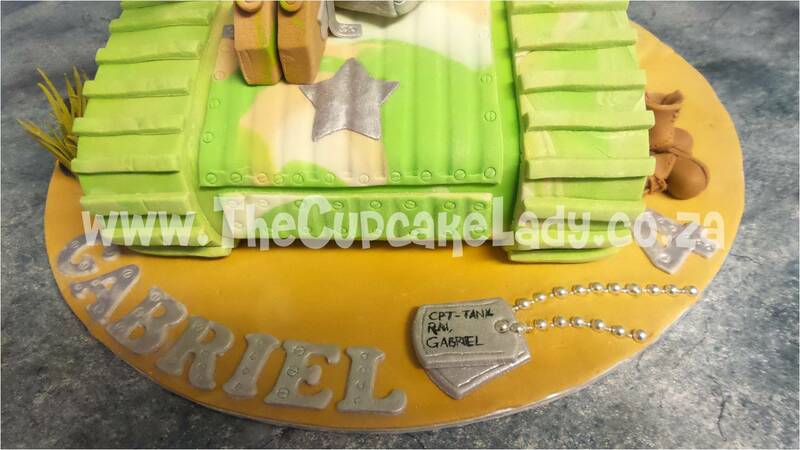 Adrian ordered this tank-shaped cake to celebrate his son Gabriel’s 4th birthday! 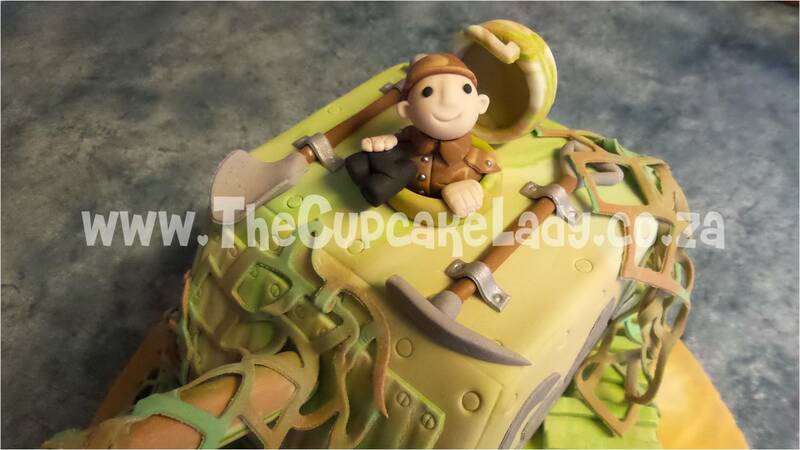 Its a vanilla cake filled and covered with chocolate butter icing, and the top and bottom parts of the tank are two separate cakes. 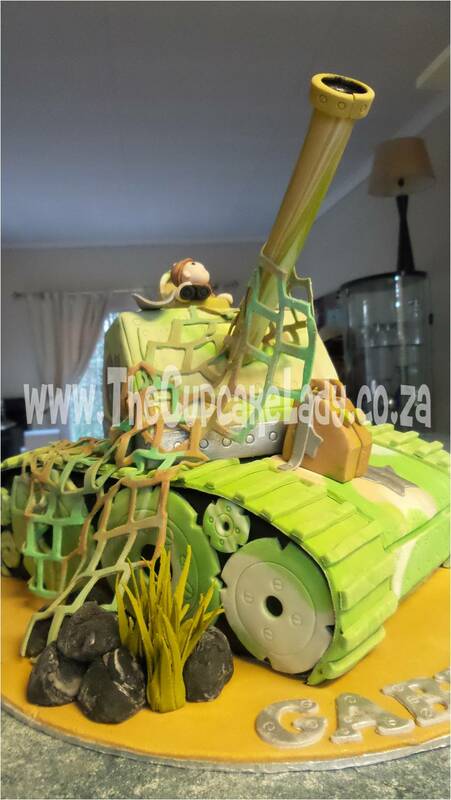 He chose a dark green, light green and light brown colour scheme and I covered the cake board with a sandy coloured sugar paste. As always, everything is hand made by me, from the rocks and grasses to tank driver, from the boots to the dogtags. 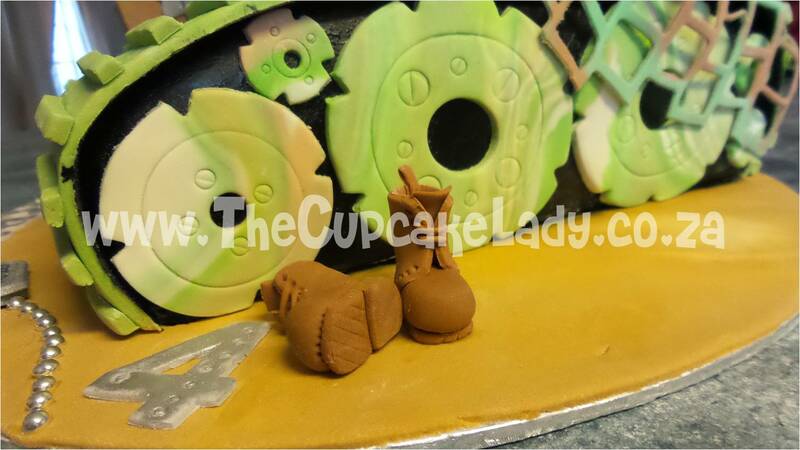 Apart from the shaped cutters I use for the numbers and letters I don’t use any moulds or specially shaped pans.